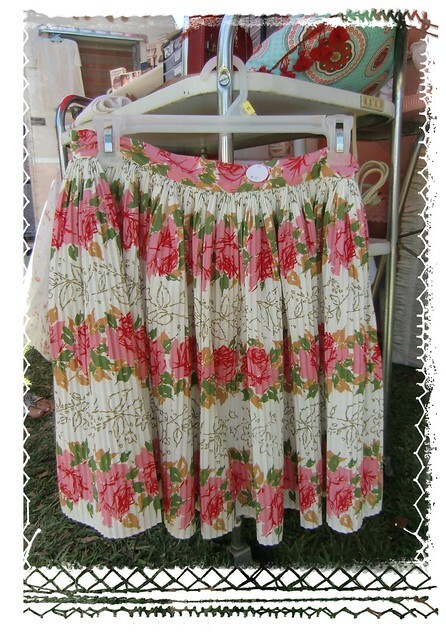 from my wonderful day at the Vintage Marketplace. With a bit of a Gypsy homemaker theme! 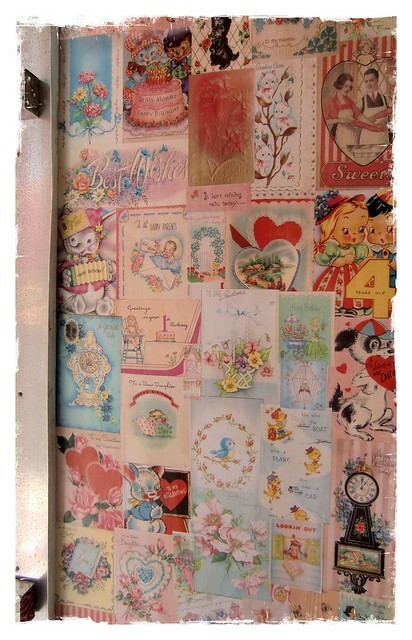 Who wouldn't want a wall papered with vintage greeting cards?! More pink fun can be found at Pink Saturday! Oh my goodness! So adorable! 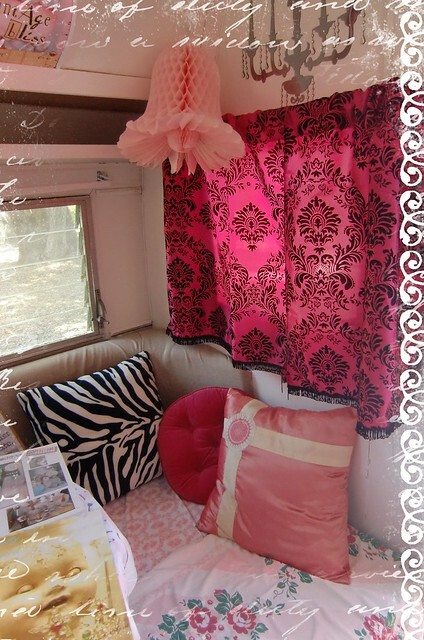 I would really like to make our little vintage trailer look like that but I am not sure that the husband would approve!! Thanks for sharing! What a fantastic post and blog you have! Love all the shots you shared of the Vintage Marketplace. Such great inspiration for the Gypsy Trailer Gal in all of us. 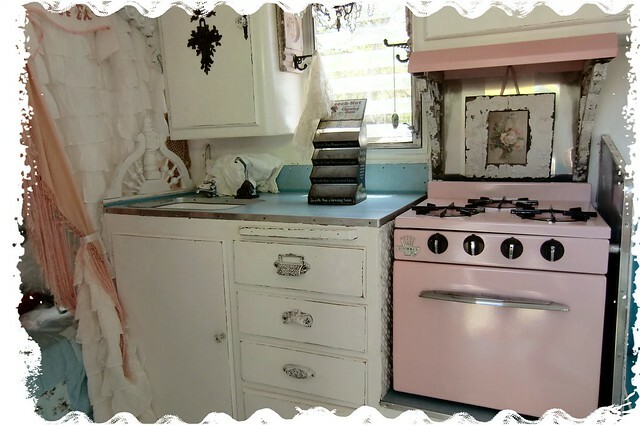 I do have an old trailer that I'd love to fix just like the Boho Themed Kitchen. Happy Pink Saturday!!!! What a fun & wonderful idea with the cards. I'd have had a ball there ... so interesting. xoRebecca PS: Thanks for visiting! Happy Pink Saturday! Beautiful images. You have a great eye and obviously great taste in shopping locations! What a wonderful variety of pinks you shared today. Lorraine..those little trailers are so awesome!! OMG I need one of those! What a fun fun post!! I almost fell out of my chair when I saw all of those aprons. I am a sucker for aprons. I believe you can never have enough! 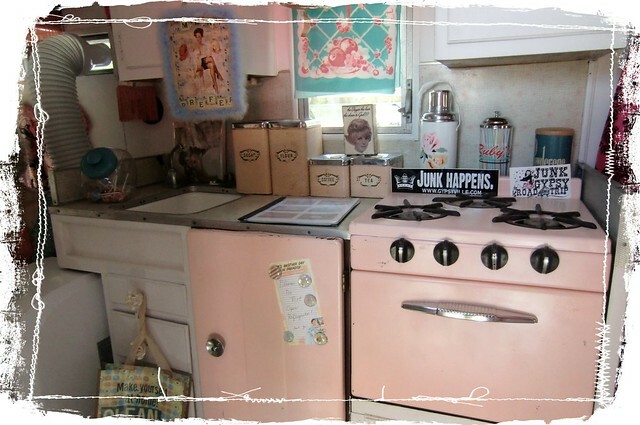 The kitchens are so cute and whimsical! LOVE them!! Thanks for sharing and Happy Pink Saturday! 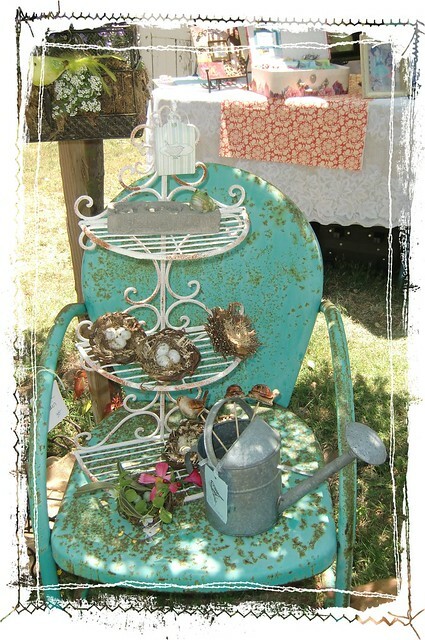 What a great vintage market you have, I would love to have a sweet little trailer to travel in, that one is so cute. I love that sweet apron! I'll take all of them, thank you :) Isn't that a yummy interior to that little trailer?! 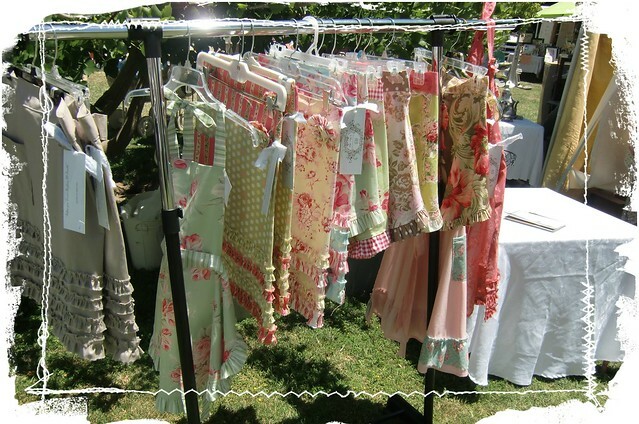 Pink Saturday at Vintage Marketplace!